VHS-C tapes were compact VHS tapes used in Camcorders and Handycams during the 1980s and 1990s. We can digitize the video from the tape and save to DVD or as a digital file for you to edit and make your own movies from. We convert them using very high quality transfer to preserve as much of the detail as possible. 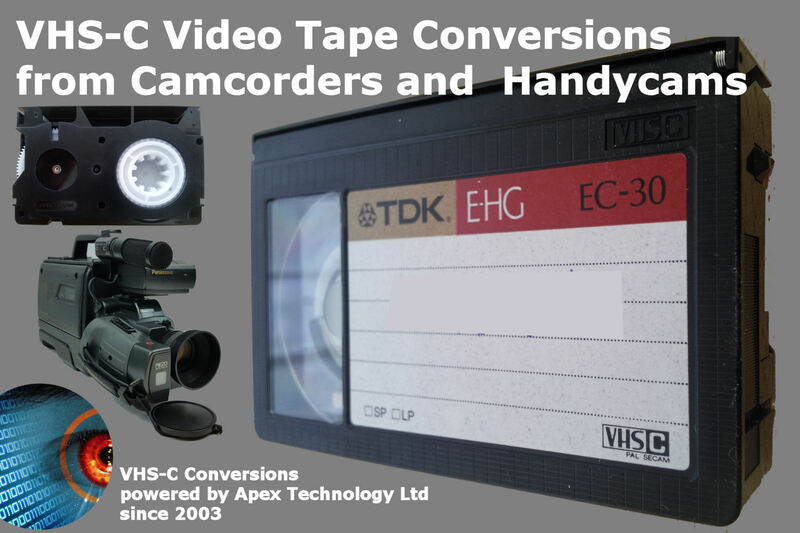 If you need a VHS-C Tape Transfer and Conversion service, then contact our friendly company. VHS-C tapes were compact VHS tapes used in Camcorders and Handycams during the 1980s and 1990s. We can digitize the video from the tape and save to DVD or as a digital file for you to edit and make your own movies from. We convert them using very high quality transfer to preserve as much of the detail as possible..